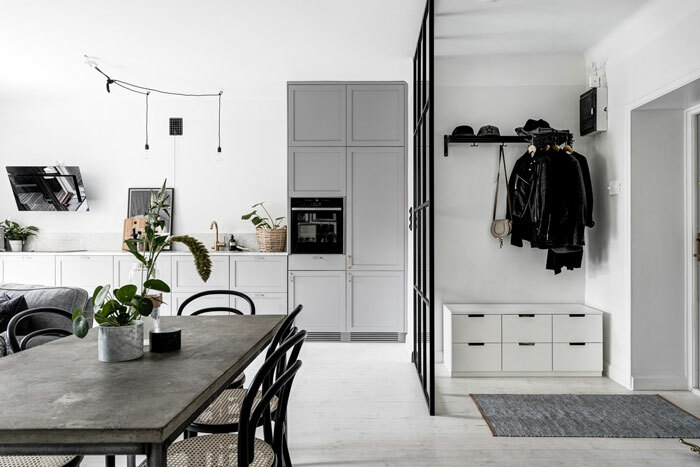 This 54-square-meter apartment has a lot to please! 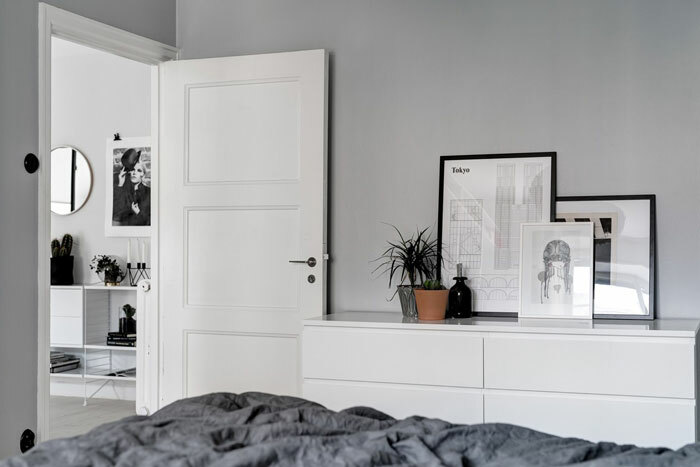 First off the restrained color palette creates a serene atmosphere, and the look is harmonious throughout the place. 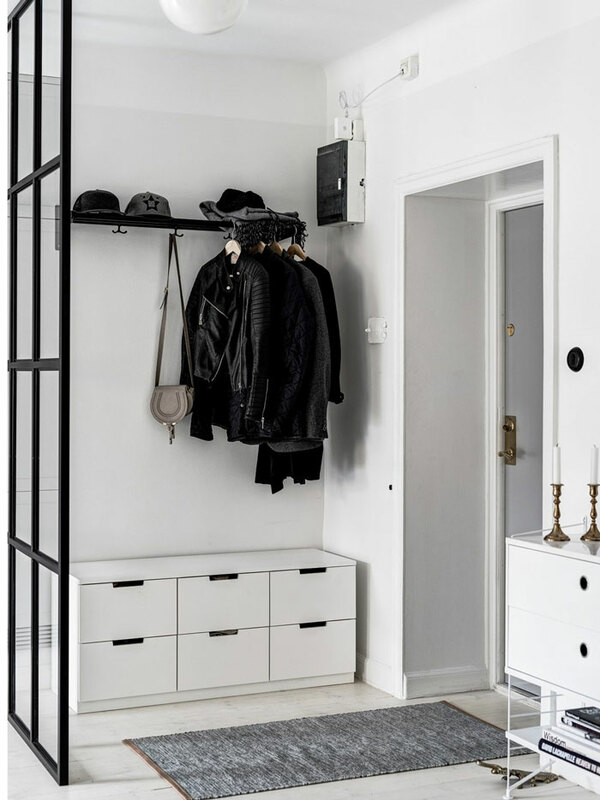 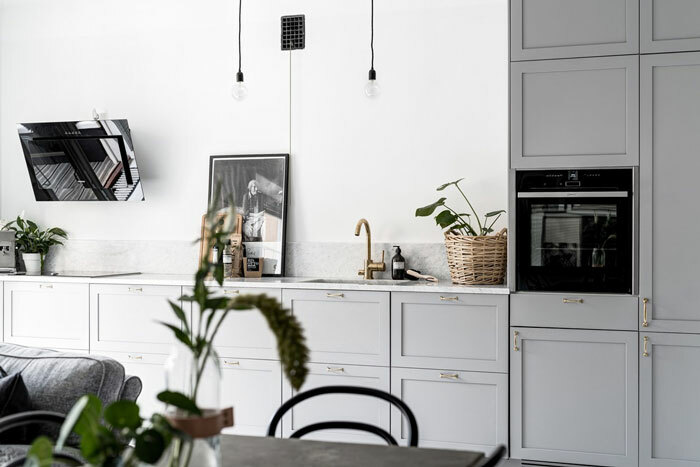 Then we noticed the glass and steel partition that separates the entrance from the main living area without closing it off – A clever way to define the space, in which you’ll find a Nordli 6-drawer dresser from IKEA, a rug by Design House Stockholm and a String shelf system. 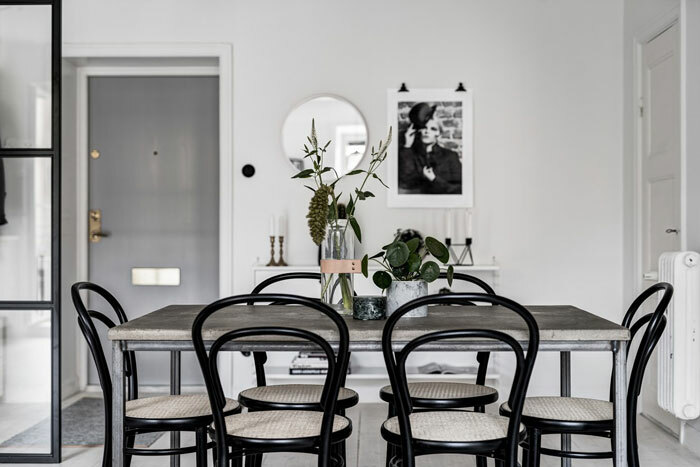 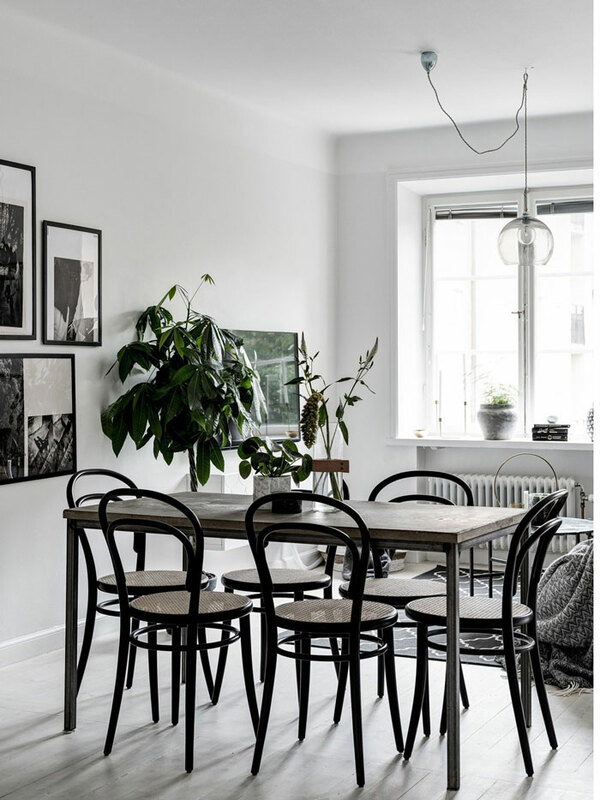 We like the interesting contrast between the industrial steel and concrete dining table combined with the iconic wicker chairs from Thonet. 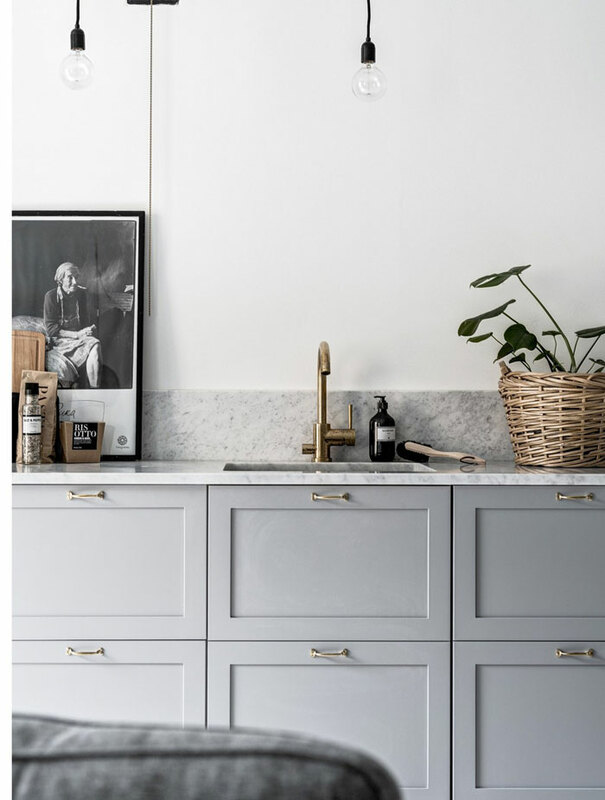 The grey kitchen with its marble countertop and backspace as well as brass accents is simple, sleek and timeless. 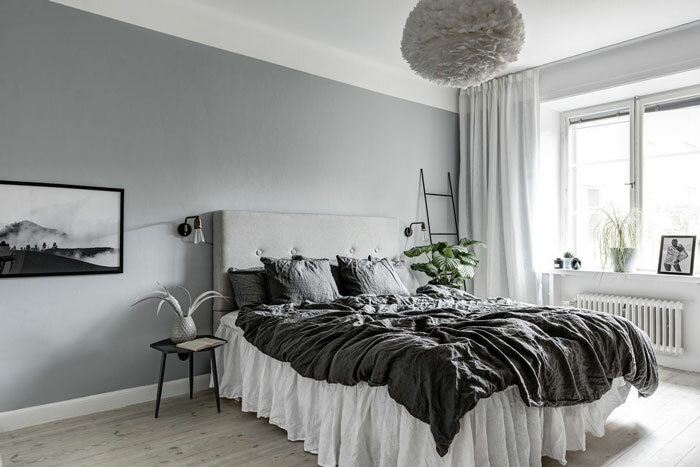 The bedroom has a lot of soft textures, like the linen bedding and feather pendant lamp by Vita. 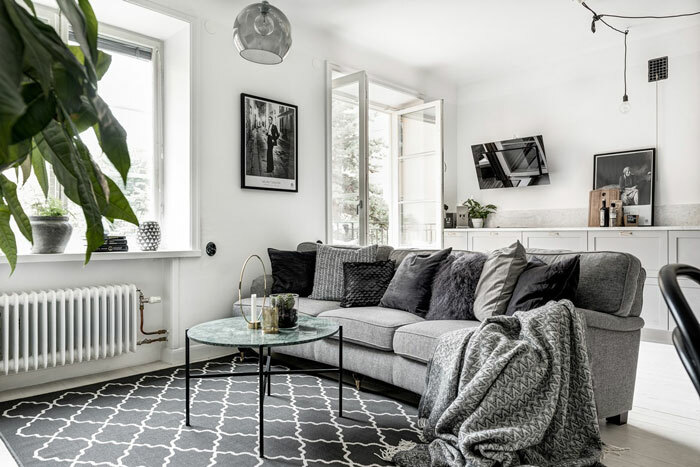 The darker shade of grey on the wall adds to the cocoon-like feel of the room.